You are welcome to contact us for further information about the holidays, we would love to discuss them with you! Please note our availability checker (right) is currently out of action so please use the form below to contact us. If you want to check availability at the resort, please check available flights and let us know your proposed dates and flight options and the type of accommodation you would like (Ensuite Madyafah Chalet, Mandarah hut or Domed Tent – see accommodation). 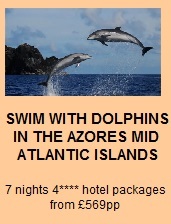 We can then confirm availability, and you will soon be in the Red Sea with the dolphins and the beautiful coral!